Building a good email list is essential for any successful entrepreneur who’s running their own blog or site. Most people are unaware of the fact that there are plugins specifically designed for this purpose – to accelerate the growth of your email subscribers list. These plugins increase revenue by growing the total traffic on the site through subscriptions. It’s time to think profitably and to use these plugins to your maximum financial advantage. Choosing the right plugin for your site can prove to be a real hassle. In this article, we’ll cover the best list building plugins out there, highlight their standout features and discuss the pros and cons of each. Thrive Leads is a flexible plugin for WordPress which builds up your mailing list and helps you get more subscribers and followers on your WordPress site. 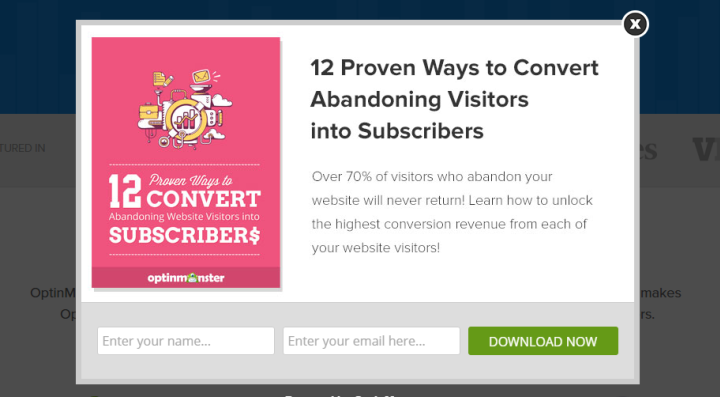 Convincing visitors to subscribe is a really difficult task; however, by using this plugin’s amazing features, you’ll be able to accelerate your list growth in no time. Keeping a good relation with your subscribers is essential so you may not want to trouble them with opt-in popups which were meant for the new visitors. Thrive Leads’ Smart Link feature enables webmasters to control what content their visitors and subscribers see. You can target your opt-in forms to specific content, for instance, if a user is reading an article about farming, you can put a plants expo opt-in form on that article to make the user more interested instead of random opt-in forms. 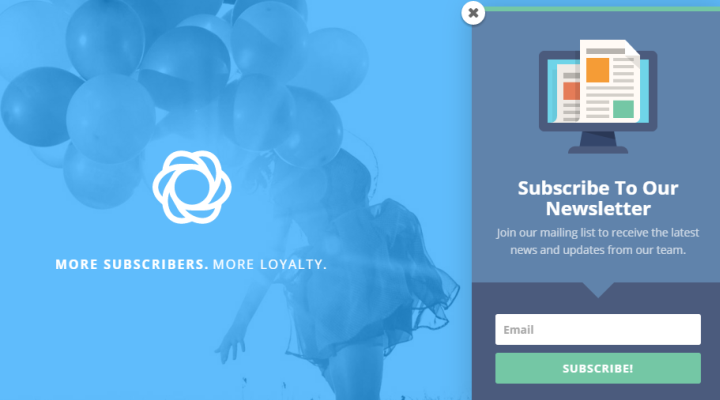 This ensures that you get subscribers without diverting from your audience’s interest. Users with little to no programming skills can easily set up engaging opt-in forms with the Thrive Leads plugin. Intuitive and very easy to use. Wide range of templates which also can be edited. Includes video tutorials to help you setup if you get stuck somewhere. You have to purchase the landing page additionally. Thrive Leads is only available for WordPress. Hassle when creating forms as you have to create groups first. Getting more email subscribers is as easy as installing a simple yet very powerful plugin for your WordPress site. Enter Bloom. This plugin comes with an elegant design that’s loaded with a wide range of templates to choose from. The templates can be further customized according to your liking. The Bloom plugin is fully customizable and offers a ton of design configuration options like customizing the border and edges and changing colors. You can choose from 6 different display types for opt-in forms like the automatic opt-in popup or the infinite opt-in forms and many more. Plus using the automatic fly-in or popup trigger you can direct your forms or promotional offers to a specific audience depending on their location or the content they are interested in. The plugin’s intuitive dashboard is one of the great things about this plugin. It’s a custom panel in your WordPress dashboard which gives you access to different managerial things like your accounts, data, conversations etc. Users can import data from their current website to another one easily and create backups of all of their data effortlessly. 115 templates to get you started. Many types of opt-in forms to choose from. Responsive and retina ready display. You can use statistics to track your emails and conversations directly from the WordPress dashboard. Bloom plugin is not supported by MailChimp API keys plugin. Lack of a drag-down header bar. Users have reported minor bugs like unavailability of templates. Looking for a way to turn visitors into subscribers or customers? Look no further as the Optin Monster plugin for WordPress does that for you in just a little time. Create stylish forms using the built-in drag and drop builder. You can easily build custom opt-in forms in just minutes or use the different pre-installed opt-in forms which can be further personalized according to your liking. Catch visitors who are almost about to leave your site using the Exit Intent Technology that the plugin features which basically displays a popup opt-in form just when the user is about the leave your site. You can also add custom effects to your popup animations selecting from a wide range of CSS effects provided by the MonsterEffects feature that comes right out of the box with the Optin Monster plugin. It’s rated as one of the best plugins in the market for list building purposes due to its extensive features and customization. Turn your visitors into revenue with the help of Optin Monster! 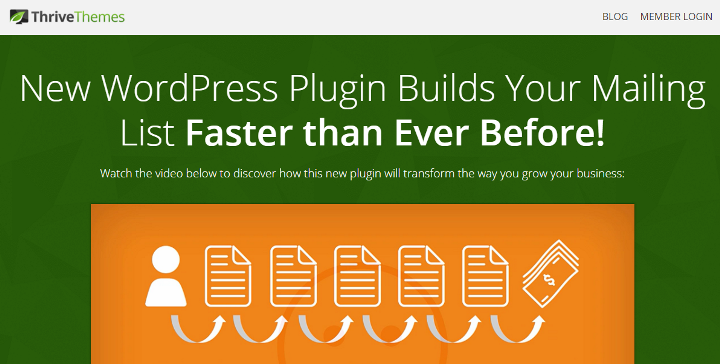 Easily setup your plugin in just a few minutes. Smart user targeting helps you build lists quickly. Design different opt-in forms using Optin Monster. Exit Intent technology stops visitors who are about to leave your site. The visual editor is a bit limited in terms of drag-and-drop editing, unlike other tools. Unavailability of certain types of opt-in forms other than popups. Some elements in the templates cannot be edited. 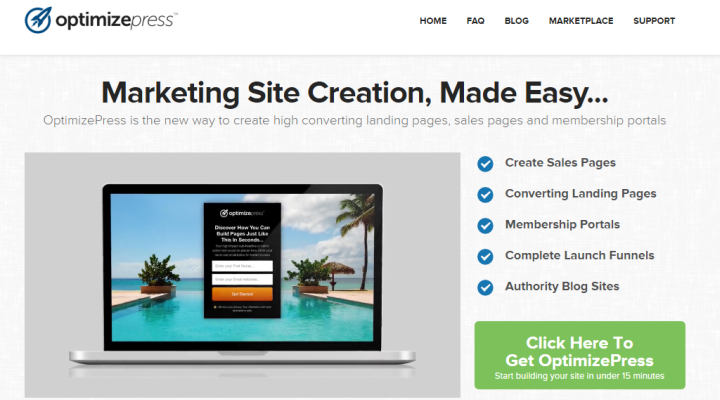 OptimizePress plugin for WordPress helps you create sales pages, membership portals, and high converting landing pages. With this plugin, you can also give free training courses or progress based courses. Create and build pages and preview them live with the plugin’s built-in live editor system. Webmasters who are short on time or not as technically minded as others can simply use the 30 plus templates and start right away. You can choose from 40 custom elements and add them to your page for advanced functionality and efficiency. Each element has its own style and configuration options which enhance the plugin’s functionality even further. 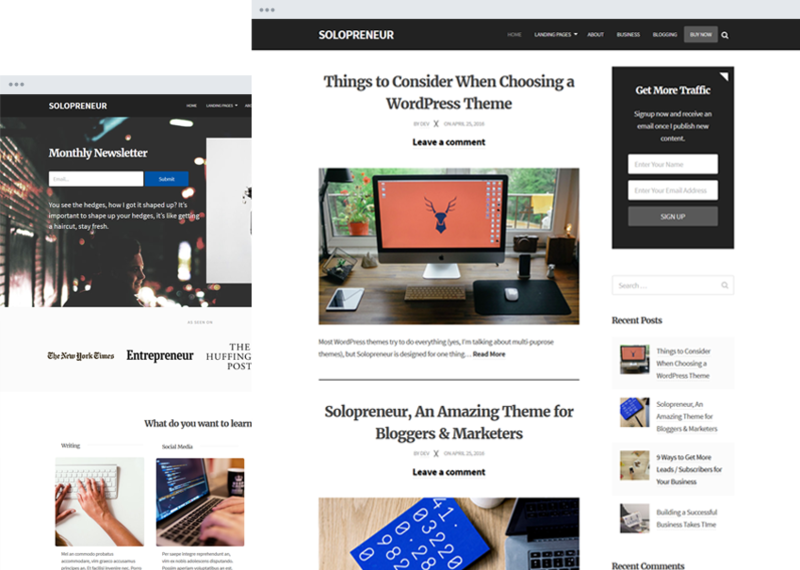 Optimize Press is fully integrated with the WordPress CMS so you can use this plugin with any theme you like while maintaining your blog’s design. Webmasters don’t have to worry about faulty display on their mobile devices as the plugin is fully mobile responsive and will look absolutely stunning on every screen size. Less expensive than other plugins of this type yet very flexible and great value for money. Large selection of pre-designed templates. You can set the launch pages to be published automatically at a preset time and date. You can use Optimize Press with any WordPress theme or plugin. Takes longer to create pages for developers due to unavailability of coding options. Plugmatter Optin Feature Box helps to get more subscribers to your site by diverting their attention through a beautifully designed opt-in feature box. Webmasters can leverage the 10 different base templates or customize them according to their preference. The simple one line editor easily helps you customize everything from the colors to the fonts without having to write a single line of code. You can also use video templates for your opt-in forms which really help in convincing the visitor to subscribe to your site. Those of you who really like to dive into customizations can copy and paste your HTML/CSS code for your own custom designs into the plugin and you are ready to go. The fully responsive display helps to tap into the mobile audience too creating a larger list of email subscribers. You can target special posts and pitch in a special feature box so that it’s not completely off topic which instigates a more intense curiosity in the visitor’s mind. The Plugmatter Optin Feature Box plugin enables users to create a miniature sized feature box which functions by keeping your viewership engaged with your site’s content. The plugin also allows you to turn off the feature box for the subscribed members – after all, you don’t want to annoy them with popups they’ve already seen. Stylish templates which really give a nice touch to your feature box. The color schemes are really awesome. The templates are feature-rich, intuitive, and easy to use for beginners. Responsive display attracts more subscribers. Documentation doesn’t cover all aspects and isn’t really that helpful especially if you are new to WordPress. You have to visit some site to get the proper shortcut for the icons you prefer. A simple yet easy to use plugin developed by Thrive Themes, the Thrive Content Builder enables webmasters to grow their email subscription lists without any hassle. One of the best things about this drag and drop builder is that the plugin features a live editor which enables webmasters to preview changes while they’re editing. You can easily create high functional page layouts in minutes based on 3 different design styles. To increase the functionality of your page, you can add or create your own elements to it like embed Google Maps or responsive videos and much more. Landing page templates are also featured in this plugin. Building a unique template or personalizing the landing pages from scratch is as easy as clicking a few buttons. This plugin features an event manager which enables you to boost your conversions by adding animations or by creating engaging opt-in forms. Plus you can also edit the form’s light boxes to give them an extra zing. Tend to make mistakes much? No worries! With the Thrive Content Builder, you can undo them easily without the hassle of re-doing them. You can also add custom fonts easily using the font manager that this plugin features. 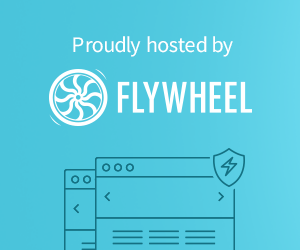 Over 100 pre-built landing pages which are organized into sets for ease of access. Boosts conversions using the two-step step opt-in forms. You get much more than what you pay for; great value for money. Very easy to use and time saving. You can use this plugin only on your new content. The best way to create simple opt-in forms is through Optin Forms Plugin for WordPress. This plugin integrates with common email campaign services like MailChimp, Interspire etc. You have a variety of 5 different forms to choose from which are fully customizable. Each form has some different customizations to it but some are similar like the background color customization or the font customization. All of this is done with a few clicks and is very easy to personalize the opt-in forms to fit your site’s brand. You can also choose what to be shown on the form and what not to be. This is one of the best features Optin Forms Plugin has on offer as it allows webmasters to control what is displayed to minimize intrusions and distracting content. Don’t like the presets or want to personalize your form even more? Just add a CSS code of the design of the form you want to use. And those of you who shy away from coding can go for one of the many built-in form templates. Lastly, you can also choose where to display your form on your website. Most other plugins don’t give you this much flexibility in their framework. Very flexible, as there are many form options to choose form. Many amazing features plus personalization. A little too simple, no unique features. Building email lists manually takes a ton of time and effort for an online entrepreneur whose time would be better invested in growing their business. These lists play an important role in driving traffic to your site and generating revenue. The plugins we covered in this article are some of the best in the market. If you are looking to use list building plugins to boost subscriptions then you might want to consider one from the list given above. List building plugins are known to significantly increase traffic, boost conversions, and build email subscription lists. If you enjoyed this article, you should check out our roundup on best landing page plugins for WordPress. Which list building plugins do you use? Which features are most important to you when it comes to selecting a list building plugin? We’d love to hear from you so let us know in the comments section below! I installed plugin number 7, Optin Forms, which I saw on a tutorial by wordpressking. It seems a great tool and I have used it, but I CAN’T SEE HOW TO REDUCE ITS SIZE FOR MOBILE. Even if I could just switch it off for mobile would be helpful. Many Thanks. Keep up the excellent work. I like my Optin form – but I need to have two different ones at the same time. I cannot see how to do that with the free Optin plugin. Will the Pro version allow me to do this? I’m using Optin Forms. It works great on post s. I want to have it on sidebar. I have Bloom but it’s saving in maiilchimp.